There were contrasting fortunes for the two Dumfries sides in their league fixtures on Saturday. After their great win against leaders Dunfermline Knights last week APD Dumfries had a disappointing loss away to Stoneywood-Dyce who they were level with in third place in National League Division 2. 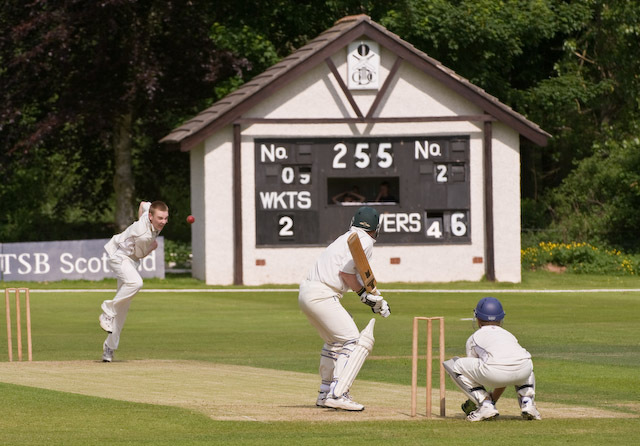 However the seconds, JMS Nunholm, had a 215 run win against Greenock seconds, Glenpark, in Western Union Division 2 with the openers scoring two centuries. The story for the firsts up North was not enough runs as they reached 144 all out with plenty of overs left on a difficult wicket. Davie Davidson provided a forceful 46 and 16 year old Tommy McBride looked comfortable with 23 batting at number 6. The opposition’s South African coach Stander took 4 top order wickets for just 16 runs. Stoneywood had their target and duly reached it with 7 wickets and 11 overs left thanks to their overseas player Van Vuuren who scored a run-a-ball fifty. 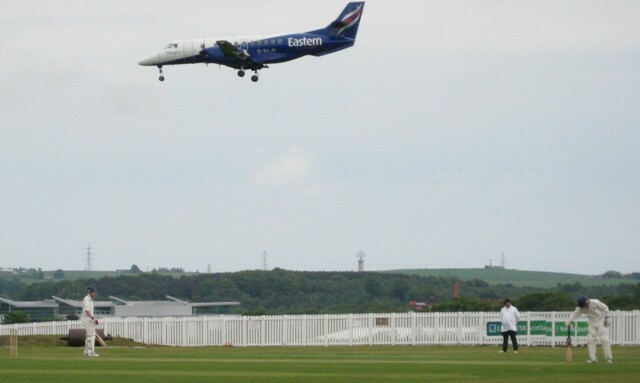 Richard Rennie took two wickets towards the end of their innings to stem their progress. However the seconds, JMS Nunholm, had a 215 run win against Glenpark. The openers Russell Johnston and Hugh Farries amassed a partnership of 195 and both scored centuries which had the local sages wondering if that had happened before for Dumfries. Johnston was the dominant scorer with a classy 116 before he was first out pressing for more runs. Farries followed him to his well-earned century and was out for 106 with the score at 254 for 2. 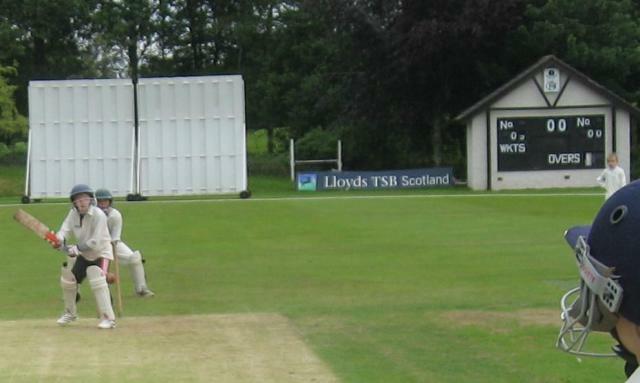 Graham Cross added impetus with a hustling 33 and the side reached 287 for 4 after 50 overs. In reply one wicket from Cox and three from Newport accounted for the top four which left the stage to Andrew Kyle to register his best bowling figures with 5 for 9 and Glenpark collapsed to 72 at the end of their innings. On Sunday the firsts watched the rain in Edinburgh as only two overs of their Scottish Cup tie against Heriots were possible. The Sunday XI didn’t even start their game against Castlemilk at home. Also on Sunday the Kwik Cricket team were in Langholm playing two games before the same rains came and in the DG U13 league Nunholm United had a big win over Dumfries Dynamos largely thanks to 88 not out from Owen Thomson and a fifty from Arran Seymour. At Nunholm on Saturday, APD Dumfries have a home SNCL league game against Falkland and the seconds play away at Poloc 2nds. On Sunday APD Dumfries play away at Heriots in the Scottish Cup and the Sunday team play at Galloway. Scottish National League Division 2, match ball sponsored by Lockerbie Engineers and John Millar Ltd.
Dumfries man of the match: Shared between R Johnston and H Farries for the 195 opening partnership.